When Should You Use a Roaster Oven Instead of Your Range? A roaster oven can cook anything from a slow-cooked stew to a whole turkey dinner, just like a traditional range. However, a roaster oven is distinctly different from the standard oven and stove top found in most households. In fact, it has a few advantages you should know about. Although both ovens are designed to cook food at high heats, their designs are completely different. A conventional oven uses a larger area and a heating element - either gas or electric - to heat the space to a specific temperature. This leads to drier conditions which can make meats less moist. Conversely, the roaster oven is a smaller space and has a bottom heating element. Although you can't fit as much in a roaster oven as many conventional ovens, this confined space does have its advantages. For turkey, potatoes, pork loin or anything else you want to make, your roaster oven will give you a moist environment to cook in - eventually leading to juicier foods. Explore the benefits of a roaster oven. Another area where the size of a roaster oven is a benefit is when it comes to heating up. These compact kitchen appliances have less space to heat, so you don't have to spend a long time waiting for it to heat. Roaster ovens also cook quickly and don't require as much power as many conventional ranges to prepare a meal. If you've ever tried to prepare a large meal, you know that your oven fills up quickly. Luckily, you can use your roaster oven as an additional cooking space. Just set up your roaster oven on the counter top and you'll have a new area to slow cook a dish, sear some meat or make almost anything you can in your conventional oven without having to wait to put it in. 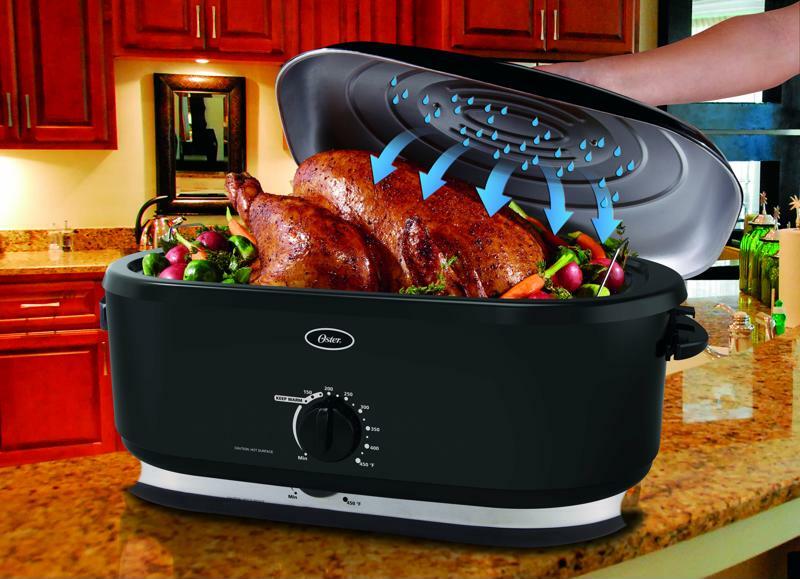 For many people, the roaster oven is the perfect way to cook a turkey. However, this convenient appliance can actually help you make a wide array of dishes from herb-infused rice to dessert. Make sure to explore the many dishes that your roaster oven can make before you relegate it to turkey duty. It can be an easy way to cook in your kitchen without having to turn on the range.